Young actor bags a biggie? Young actor Sundeep Kishan, who is busy shooting for his forthcoming film ‘Tiger’, hit the jackpot as he has been getting a lot of offers in Tollywood and Kollywood as well. 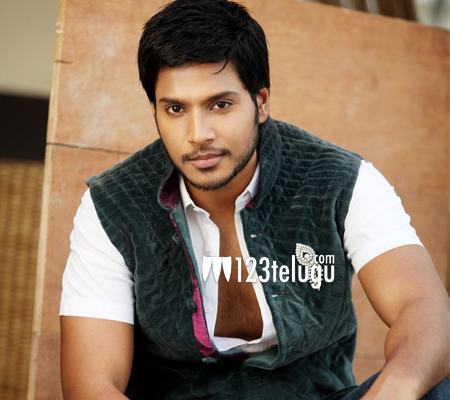 As per the latest updates, Sundeep Kishan has bagged a chance of pairing up with gorgeous beauty Samantha in his next. The film will reportedly be directed by V.V Vinayak and will be produced by Sundeep Kishan’s uncle and ace cinematographer Chota. K Naidu for the first time. Shooting of this film will begin once Vinayak finishes his current film with Akkineni Akhil. However, an official confirmation regarding the same is still awaited. Keep watching this space for more updates about this film.